A football player and refugee whose detention in Thailand sparked an outcry will be freed after Bahrain withdrew its extradition request, officials say. Hakeem Al-Araibi, who is a Bahraini citizen, fled to Australia in 2014 and was granted political asylum. He was detained in Bangkok in November on an Interpol notice requested by Bahrain. He had travelled to the Thai capital on honeymoon. He was sentenced in absentia to 10 years for vandalising a police station. Al-Araibi, 25, denies the charges and human rights activists say he could face torture if sent back to Bahrain. His case has been taken up by high-profile footballers, with stars including Didier Drogba and Jamie Vardy calling for his release. The Australian government, Fifa and other football bodies have supported his case. 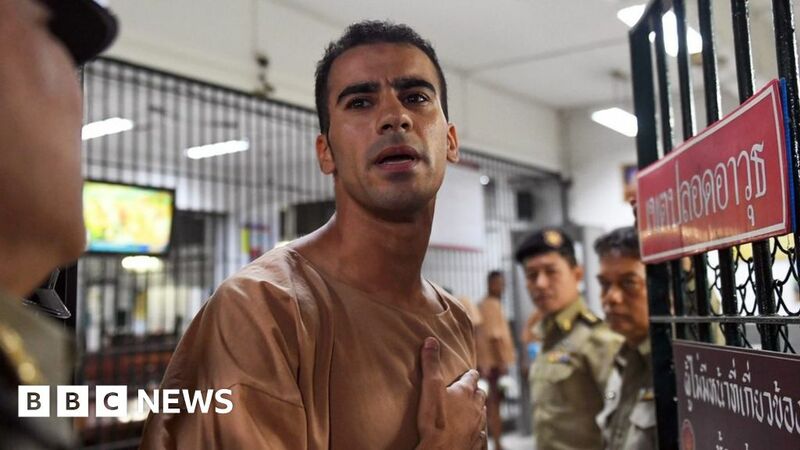 Thailand’s Office of the Attorney General (OAG) asked the court to end proceedings against Al-Araibi because Bahrain had said it no longer wanted him, officials told BBC Thai on Monday. “This morning the Ministry of Foreign Affairs informed us that Bahrain was no longer interested in this request,” OAG foreign office chief Chatchom Akapin said. Al-Araibi plays for Pascoe Vale FC in Melbourne.